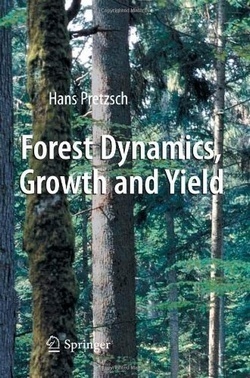 The aim of this book is to improve the understanding of forest dynamics and the sustainable management of forest ecosystems. How do tree crowns, trees or entire forest stands respond to thinning in the long term? What effect do tree species mixtures and multi-layering have on the productivity and stability of trees, stands or forest enterprises? How do tree and stand growth respond to stress factors such as climate change or air pollution? Furthermore, in the event that one has acquired knowledge about the effects of thinning, mixture and stress, how can one make that knowledge applicable to decision-making in forestry practice? The experimental designs, analytical methods, general relationships and models for answering questions of this kind are the focus of this book. Given the structures dealt with, which range from plant organs to the tree, stand and enterprise levels, and the processes analysed in a time frame of days or months to decades or even centuries, this book is directed at all readers interested in trees, forest stands and forest ecosystems. This work has been compiled for students, scientists, lecturers, forest planners, forest managers, and consultants.